I did it. It only took me a month, but it felt like forever. 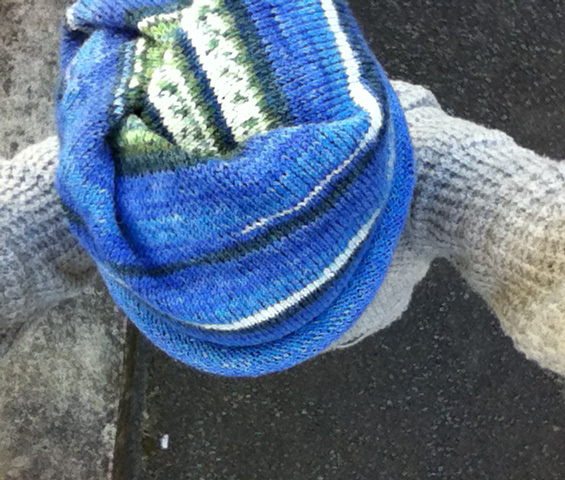 This entry was posted in Crafts and tagged head tube, knitted hat, knitted scarf, knitting. Bookmark the permalink. ← Let’s get to know each other. It is an impressive amount of knitting. I applaud your seeing it through. 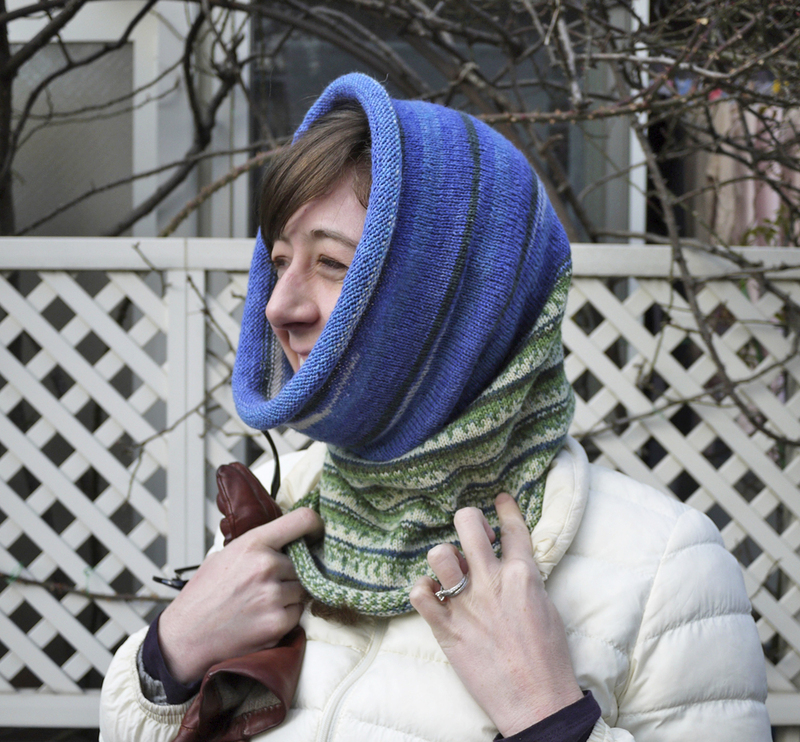 I believe it looks lovely as a cowl. I am not so sure about the head wrap. The color blue is just right for you. Well done! I like the head tube! 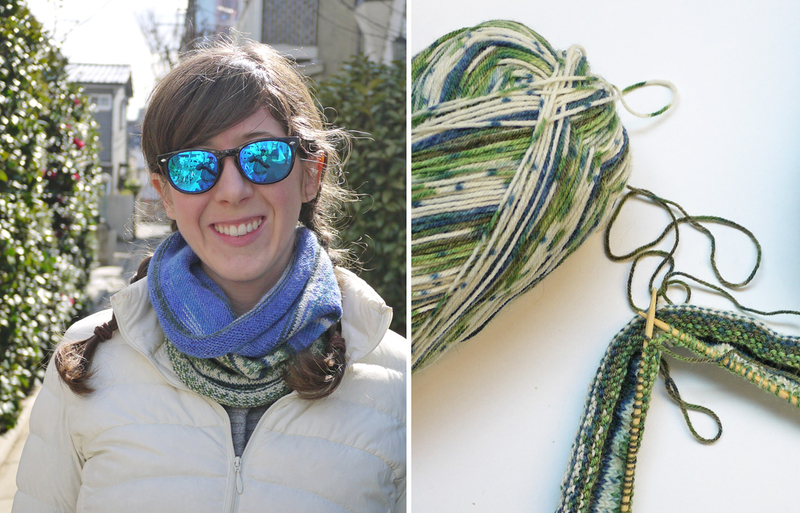 I’ve wanted to knit a cowl for myself for ages but never seem to get around to it (like a zillion and one other things in my life), and I love seeing other people knit stuff like that. The colours really match well, and piffle, I think it looks good! Great response Angie, and he will wear it until it gets to warm to use. I think it is different, just think of it as a hoodie with out the jacket.